If you’re a car guy or gal then you definitely remember your very first car (no matter how many you’ve owned since). The way it made you feel, the freedom it gave, the doors it opened, and the countless paychecks that would soon be poured into it over the years. 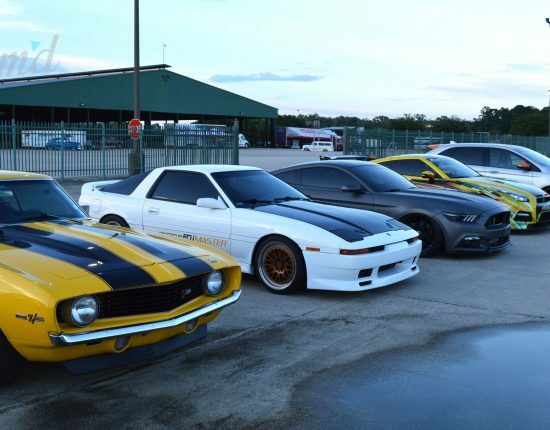 However, one thing most of us probably didn’t realize at the time, was the beginnings of the never-ending obsession…enter the “Project Car” who quickly took over and became the “mistress” in our lives. You may not know Bernie by his full name, but if you’re in the VW/Audi scene you most likely know his cars and have visited his website and might have even read up on his “how to” front-end conversions, which is where the term “JTI” and “Getta” were created. 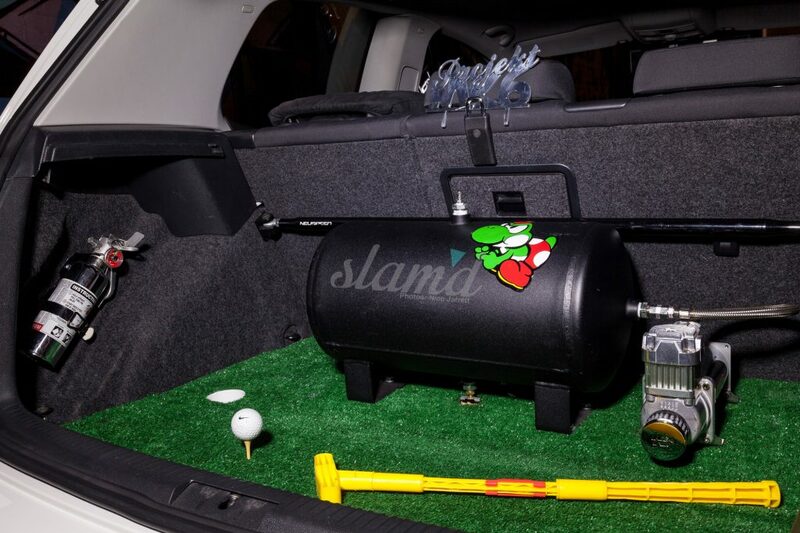 In September of 2010 Bernie decided to purchase a 2010 Volkwagen Golf TDI and instantly the modding began. Within 24 hours the car was de-badged and the rear wiper was deleted. Even though the car was purchased as a daily driver, Bernie still wanted to add some personal touches and as usual – it was all downhill from there! While speed isn’t the focus of Bernie’s Projekt MK6 a few engine mods were added to bump up the power to a respectable level. An exhaust upgrade from Borla and a few items from Nuespeed including a P-Chip tune, P-Flo air intake and a power pulley gave Bernie just enough to be satisfied with the performance. Wheels on the other hand were a whole different story for this build. 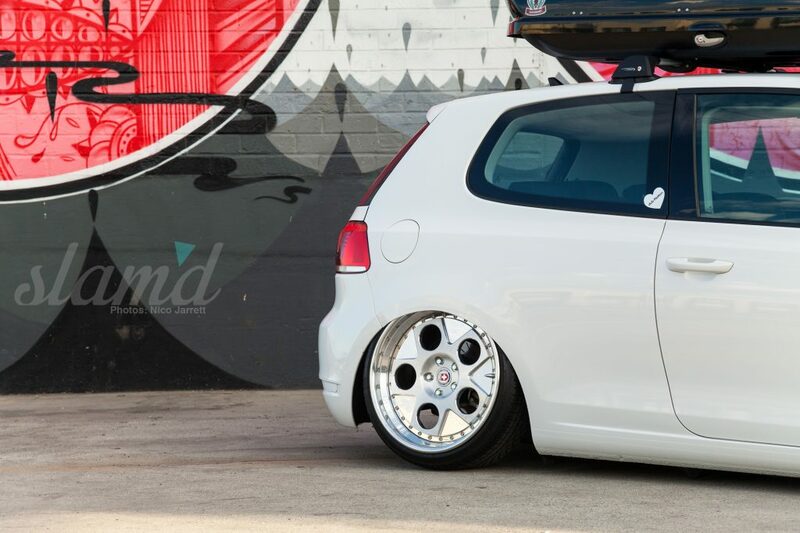 Bernie has gone through quite a few sets of wheels on this his MK6 always striving for that perfect combo and fitment. Remembering back to when he played with die-cast cars as a kid, he really loved the old school Ferraris, Lamborghinis, and Porsches. So when HRE Wheels came out with their Vintage Series line-up he instantly jumped on board and had to have a set. Bernie chose the HRE 454 Vintage Series; with its old school Italian 5-spoke design he knew this would be the final piece to the puzzle. 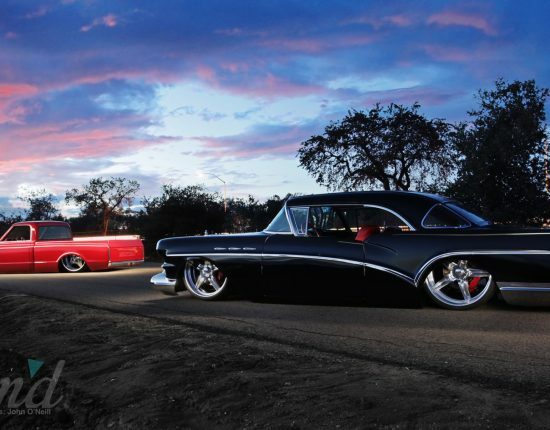 The wheels are 19×9 all around, with a front offset of et33 and a rear offset of et30, and accompanied by the right amount of camber to properly tuck in for the ultimate in low. Speaking of low, like most of Bernie’s current builds, suspension mods usually lead to air suspension mods and management systems. And for Projekt MK6 it’s sitting on a set of Air lift Suspension front air struts and custom rear ‘bags along with Air Lift’s AutoPilot Digital Management. After installing the air suspension and wanting to go even lower, Bernie took it to his buds over at Empire Fabrication to assist with C-Notching the frame and a few other custom touches to get her even lower. Next up, a few stress bars from Euro Sport Accessories were added and now the car sits perfect and drives like it should. Not one to leave well enough alone, body mods are next up on Bernie’s never-ending “mod list” of things to do. Like he shared with us, “Nothing is ever completed, it’s just in different stages.” This isn’t the only ride in his fleet that is awaiting more mods either. 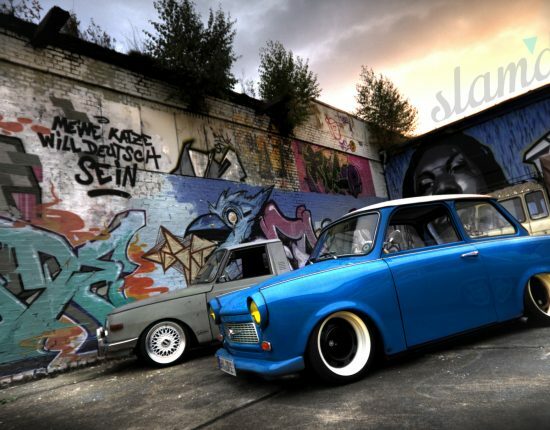 He’s also currently building a custom EuroVan and an old school MKI proving yet again, that his love for cars is truly with the Veedub. Stay tuned for more on the EuroVan tow combo, as we’re sure that we haven’t seen the last of Bernie and his wild creations here in Slam’d Mag. Bernie would like to thank his wife Kristin and his daughters, Kaeleigh and Bella. Along with a bunch of friends and companies that have made this all possible. Aaron at Neuspeed, Sean and Gino at Empire Fabrication, Lon at HRE Wheels, Corey at Air Lift, Rich and Josh at OEMplus, Rich at Auto Essentials, Adam’s Rotors, Peter at OrientalParts, Alyse and Alvin at Borla, Greg at Eurocode Tuning, Raffi and Ivan at Euro Sport, Bruce at Unibrace, Bakari at Falken Tires, Scotty “Flames” at Risk Vs Reward, Dave and Mike at MeisterWerks, Guido at Speed-Tech. Jay at JCaps Online, Eugene at Rdefined, VWvortex.com, GolfMK6.com, Mike Alexander, Nico Jarrett and the entire Slam’d Mag crew, and anyone else who has helped along the way!